em 22 de Janeiro de 2019. On the first of December 2018, several volunteers took part in a reforestation project in our local Parque Ecológico. In the beginning, we were given a short introduction and learned of the variety and numerous species residing in the ecological park. Moreover, we learned of the devastating wildfires, which were the reason for our activity. Shortly afterwards, we were allowed to start planting young trees under the supervision of an experienced park ranger. This planting task was very enjoyable, as we were able to combine enjoying a beautiful scenery with the fulfilling sense of being able to take part in something long-lasting and ecologically important. Especially nowadays, as we as a global society become more and more attentive of how wasteful and damaging we used to handle our environment and the terrible effects it is causing in terms of global warming, this experience was more than gratifying. – Helen Bruegge, a volunteer from Germany. The Funchal Ecological Park was created in 1994. 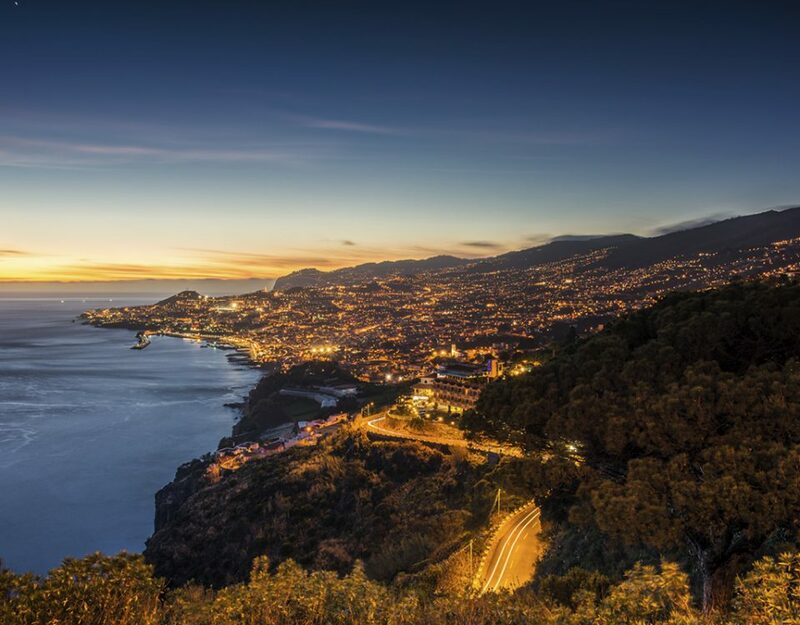 It covers an area of 10 km2 of mountainous terrain in the north part of Funchal municipality. The abundant fauna and flora of the park provide optimal resources for a geomorphological and biological education. Its main objectives are to preserve nature and promote environmental education. It is also an excellent place for enjoying leisure, where visitors have access to many recreational facilities and can do activities like cycling or canyoning. On the 1st of December 2018, I with a group of other volunteers participated in a reforestation activity. At the beginning, one of the staff members presented us some basic information about the Ecological Park of Funchal; its history, plants, and animals. The main problem of the park are fires that already devastated over 92% of the park’s area. Many of endemic for Madeira Island plants need a long time to grow. An area destroyed by the fire is constantly invaded by non-native plants that are propagating much faster than the native species. This is why the reforestation project is essential to maintain biological diversity in the park and to protect endemic species. After the presentation, we had a walk to an indicated spot. The park guards explained us the details of tree planting and then we started to work with hoes. To let the plant grow it has to be well positioned and stable so it’s important to dig a hole deep enough and to keep at least 1,5 m distance between them. We planted many trees that day and I feel happy to have a chance to participate in the activity that helps to protect the environment. – Martyna Krupinska, a volunteer from Poland. We started this month doing something different than before. Instead of making tours, we planted trees together with Students’ Union volunteers and employees of the Ecological Park. Madeira suffered from wildfires during the last years. Especially the fires of 2010 in Madeira changed the landscape significantly. One of the most affected areas was the Ecological Park. Reforestation is a chance to bring primal conditions back there. During this activity, I tried to capture other volunteers working, holding my camera in one hand and a hoe in the other. Surrounded by the fog and with hands dirty with soil, volunteers worked pretty hard to plant all trees. 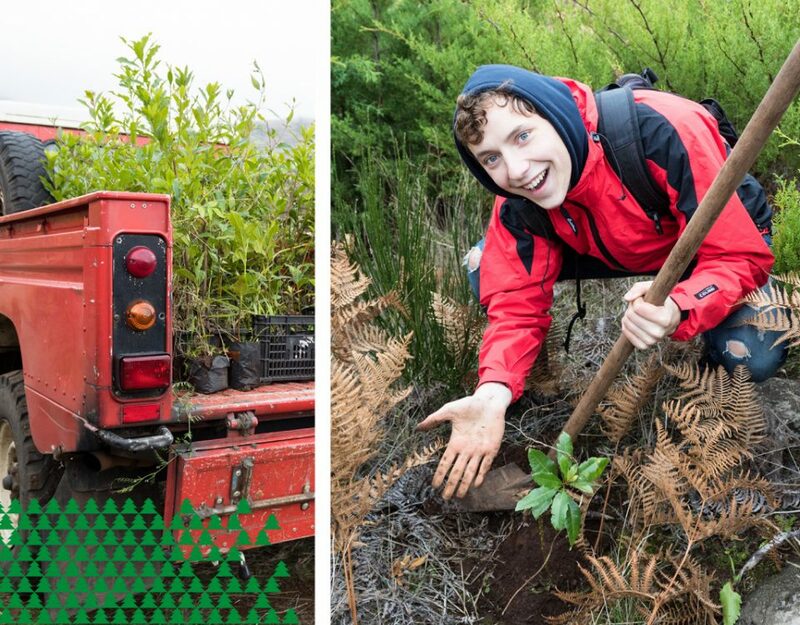 When all saplings were planted we came back to the center of Funchal, happy that we could help. – Magdalena Zawadzka, a volunteer from Poland.